Instant noodles are still considered as one of the most delicious foods to eat. Many people even claim to be addicted to food that is very easy and quick to make this. Unfortunately, many studies have shown that excessive consumption of instant noodles can trigger some dangerous diseases such as hypertension, diabetes, and obesity. Luckily, health experts mentioned that there are several ways we can do to make instant noodles become healthier if we are very keen to consume as follows. 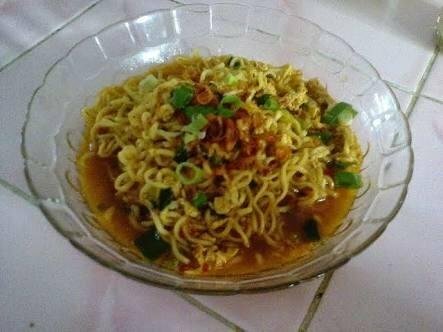 Instant noodle seasoning turns out to have a very large amount of sodium, can even exceed the daily sodium requirement of the body so that it can trigger hypertension if consumed with excessive. Add only a small portion of the seasoning and if you want to get a better taste, add natural flavorings like onions, onions, green onions, or chili on noodles. Instant noodles are foods that have a very high caloric content. In order to balance it, we can add vegetables as much as possible so that the stomach will feel full longer so that in the next meal we do not consume food with excessive. Some types of vegetables that are highly recommended to be added to instant noodles are mustard, tomato, chickpea, and carrots. Health experts advise us not to consume instant noodles along with rice and should only consume a pack in a week so as not easily exposed to dangerous diseases such as obesity, hypertension, and diabetes. By applying these ways to consume instant noodles, then the body will be avoided from various dangerous diseases. This very good advise, especially for university students who tend to consume instant noodles, mainly due to limited financial resources, as a staple food item.